As I mentioned first off…I love pie. Like, super I love it. So it is only fitting that my first recipe be…wait for it…A PIE!! Growing up I could eat blueberry pie every single day of my life and never be tired of it. Actually any fruit pie would do for me. When you cut into a fruit pie and pull out a slice, you should see the fruit and actual juice should run all over your plate. Still slightly thickened, but twice as much fruit as juice and it should smell like the fruit. Crust that tastes like butter too. Actual butter. Actual heaven. The awesome thing about being grown up, and someone who can bake a pie, is that I no longer have to wait until the two times a year or so I could get a great homemade pie. My mother was more of a cookie and bread kind of baker, and definitely a cook. I can make pie whenever I want. Truthfully, pie is so f–king easy to make it is sick. Once you master a crust, and yeah, you gotta make the crust, it is important, pie is so simple you will be embarrassed at your own self for not always making your own. 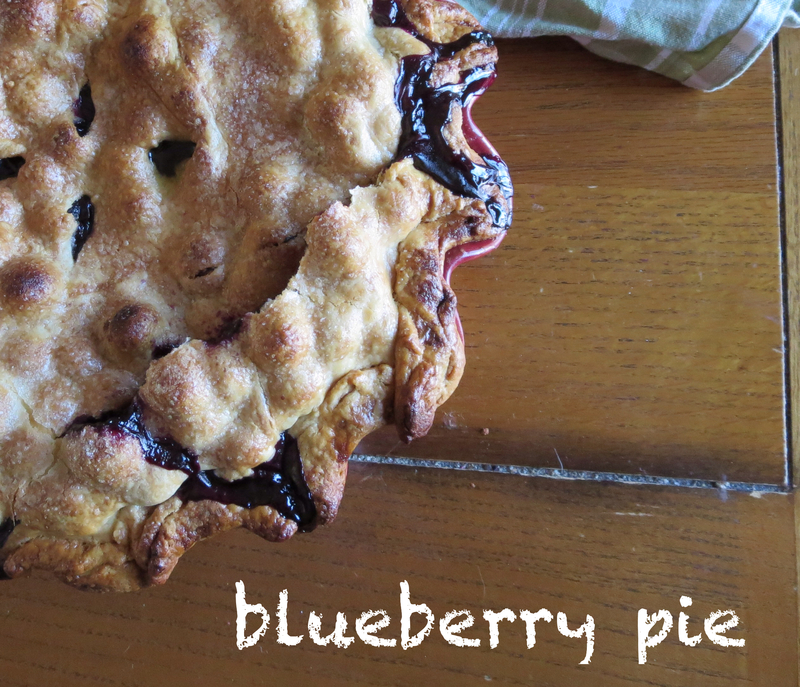 Blueberry pie was always my favorite till the first time I ever made a sour cherry pie. I made my cherry pie recipe up, completely, all by myself after reading many different ways to do them…I was never so proud (except maybe when I pushed out my babies without drugs). And I really wanted my first recipe to be my cherry pie, complete with a fantastic picture of it, and one of me stuffing my face with it. But my farmer at the farmer’s market (who might just be on my bff list) had a bad crop this year and is thus far having difficulty finding me any sour cherries. Ughhhh. So I will go to my second favorite, the blueberry pie. My aunt’s mother makes the best blueberry pie there ever was, and her recipe is a secret, which is ok, I like it that way. It keeps it special. I have read literally 50 variations on blueberry pie and made up my own. The good thing about fruit pies is, if you get seasonal fruit and don’t fuss with it too much, it is almost always going to be good. The point is for it to taste like the fruit!! I minimally mess with the fruit in this recipe and my crust recipe is nothing special, a perfect vehicle for the delicious summer fruit, and you should be able to work with it. I spent some time as the head baker in a boutique bake shop and this was my go to crust recipe, it isn’t sweet, it is plain(ish) with a touch of salt and it is flaky as hell. I use it for almost all the pies. For the crust, place flour, salt, sugar in food processor and pulse to combine. Slowly add the shortening and butter, alternating, and pulse till mixture forms a crumb. Add the iced water by tablespoon while pulsing until the mixture comes together in large pieces. I then dump it all onto the counter and form it together into two (one for top and one for bottom) discs and wrap in plastic and put in refrigerator for around 30 minutes or so. Roll ‘em out and press one into a pie dish and mark up the bottom with a fork and put back in the fridge while you do the filling. 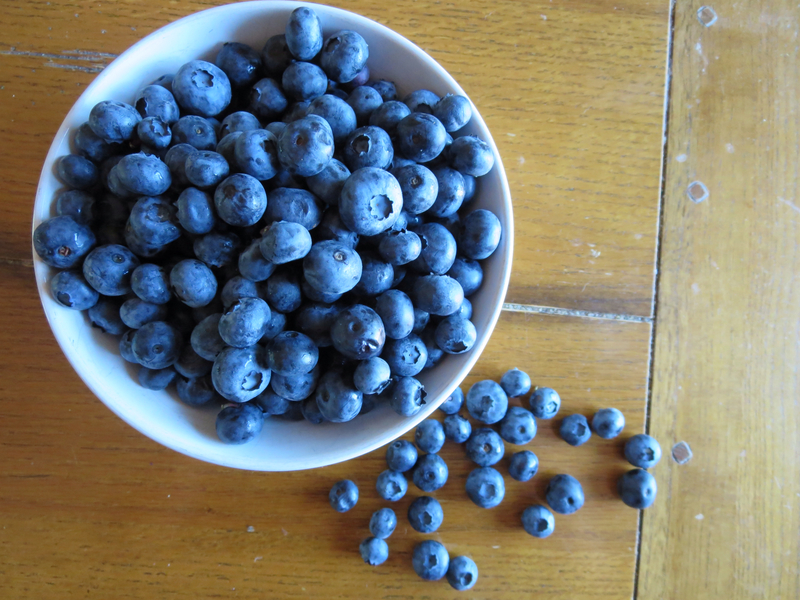 For the filling, combine the blueberries, sugar, zest, juice and flour in a large bowl and toss together. Dump all the gorgeous filling into the pie crust and take your butter and break off or cut into teeny tiny pieces and sprinkle throughout the filling, this will add a luxuriousness to the juices, you won’t be sorry you did this. Top with the remaining crust and either cut air pockets in it, lattice it or put a fancy cut out in it, just do something, because you have to let the steam out. Brush the top crust with an egg beaten with a little milk or cream. Bake at 425 for 35 minutes and then turn the oven down to 400 and bake until filling bubbles and the juices look thickened, I’d say around 40 more minutes or so…be ever mindful of the rim of the crust and if it starts to get too dark cover the outer rim with foil to curb the browning.